Think vinyl, nitrile, latex, CPE, and TPE gloves are only limited to places like hospital examination rooms or fast-food restaurants? Think again. In reality, gloves are used in many different industries and places – so much so that it’s hard to imagine these industries not using gloves. 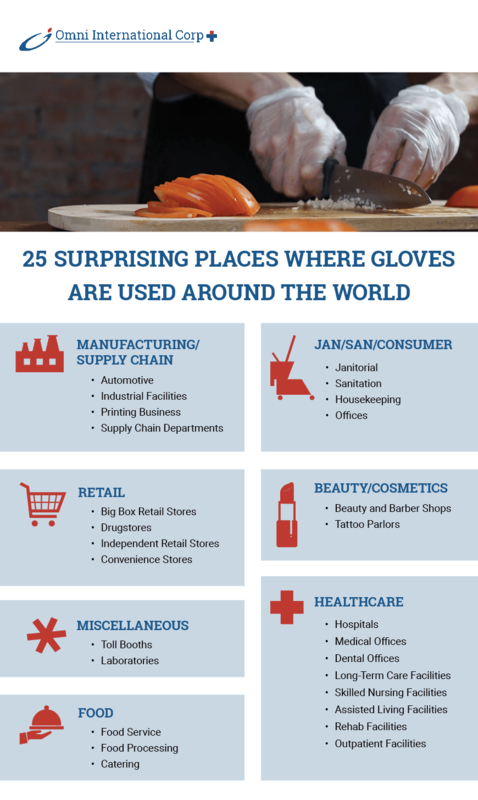 Check out this infographic to see 25 surprising places where gloves are used around the world!